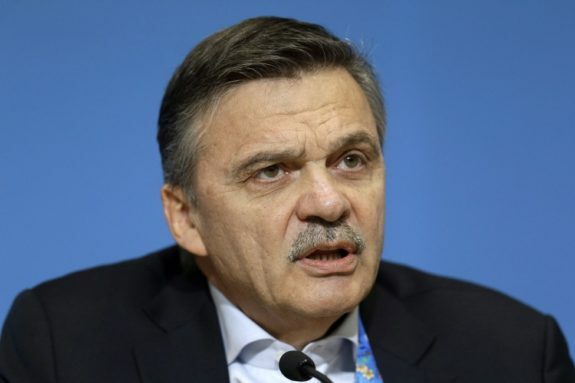 VANCOUVER — International Ice Hockey Federation president Rene Fasel has his eyes on the NHL and he likes what he sees. Fasel said the world governing body for hockey is considering moving all international competitions to smaller, NHL-sized ice surfaces. He believes the smaller ice can contribute to the fan’s excitement and emotions. 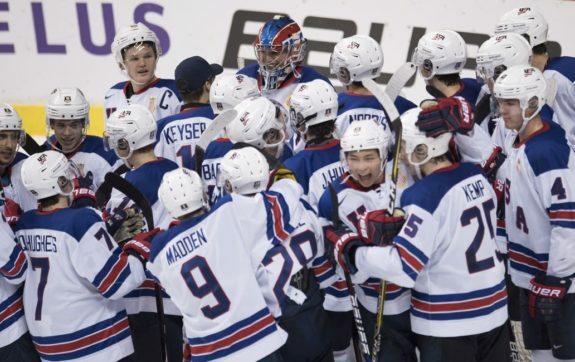 “More and more now when we are watching the games, especially the juniors here in Canada, maybe one of the reasons the tournament here is on a very high level, maybe, is the size of the small ice,” said Fasel on Saturday ahead of the medal games at the world junior hockey championship in Vancouver. The city is currently hosting the world junior hockey championship at Rogers Arena, the home of the NHL’s Vancouver Canucks. Ice in a standard NHL arena is about 61 metres long and 26 metres wide while surfaces in many European rinks are about four-and-a-half metres wider. Switching to the smaller surface for international competitions wouldn’t be unprecedented. The organization is looking at using NHL-sized ice for the world championships in Finland and the Beijing Olympics, both in 2022. “That should be our goal, that in the future we should have the same size that we have here in North America,” Fasel said. But next year’s world junior hockey championship in the Czech Republic will still use the larger surface. Up in the stands, the crowds will likely be smaller than those seen in Vancouver and Victoria this year, Fasel said. More than 300,000 fans have taken in games at this year’s tournament, said Hockey Canada president and COO Scott Smith. About 200,000 watched in Helsinki, Finland in 2016, the last time the world juniors was held in Europe. As of Friday, the average attendance at this year’s tournament 9,653 per game, with Canada’s matchups drawing more than 17,000. The numbers are far above last year’s crowds in Buffalo, N.Y., where thousands of seats were left empty for the majority of games. Despite Canada’s heart-breaking quarterfinal loss, Smith expected a full house for Saturday’s final between Finland and the U.S.
“We were essentially sold out before the first puck was dropped on Dec. 26,” he said. Matching that in Europe isn’t feasible, said Franz Reindl, who’s from Germany and acted as director chairman of the Victoria leg of this year’s tournament. “Hockey is rising now in Germany but having a junior world championship, you cannot compare it with Canada, it’s another level, it’s another planet. I think we cannot do it,” he said. That doesn’t mean that world juniors events in Europe can’t be successful, said Luc Tardif, director chairman of the Vancouver part of this year’s event. The tournament will return to Canada in 2021 when Edmonton and Red Deer, Alta. host.